We are a mother (Sandy) and daughter (Stef) team who decided a few years ago to act on our dream and start a business together. We also want to save the world; or at least make it a better place. 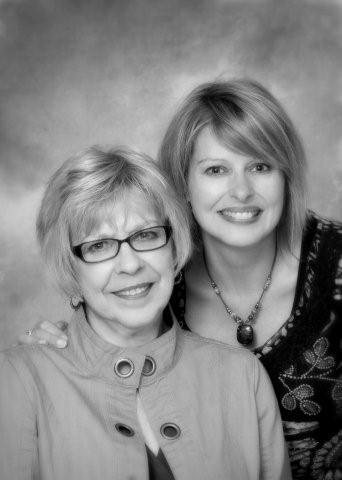 Our business is named Rubi J to honor our mother and grandmother. Ruby Jensen was a sweet, wonderful woman who thought her daughter and later, her granddaughter, were outstanding in every way. Much of what we do and what we provide is influenced by our family values and customer service ideals. Never will we sell a product we do not believe in. Our promise to you is to provide quality products and thought-provoking ideas to enrich your life. We have researched our products to insure they are GOTS certified. We want to be the place you can be sure has done all the research for you. Thanks for visiting our site. Learn more about Organic Cotton. Stef is also an author of two novels:Good-bye Dep Leppard, I'll Miss Those Jeans and Rubigunda. Click on the titles to learn more.